FDC Ltd(“Fairdeal Corporation”) is engaged in manufacturing and marketing of Oral Rehydration Salts (ORS) and Ophthalmics. The company has also set-up globally approved, multi-location manufacturing facilities for Active Pharmaceuticals Ingredients (APIs) as well as Finished Dosage Forms. These facilities are located at Roha, Waluj and Sinnar in Maharashtra, Verna in Goa and Baddi in Himachal Pradesh. 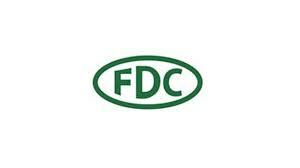 FDC markets more than 300 products in India and exports many of these to over 50 countries. Assuming full acceptance, the funds that would be utilized by the Company for the purpose of the Buyback would be Rs. 120.05 Crores (Rupees One Hundred Twenty Crore Five Lakhs only) (excluding transaction cost, viz. brokerage, applicable taxes such as securities transaction tax, service tax, stamp duty, etc). 1. Firstly to be eligible for the buyback the investor should have shares of FDC Ltd in demat or physical form as on record date 27 Feb 2018. 2. Once you have shares in demat, you can participate in the buyback process which is opening from 12 March 18 to 27 March 2018 by selling your shares through your broker on NSE or BSE. 3. Then on 04 April 2018, the payment will be given to you for accepted shares and unaccepted shares will be returned to your demat account. (a) Categories in Buyback: (i) Reserved category- For Small Shareholders who holds Shares worth upto Rs. 2 Lacs before the Record date. (ii) General category - For all Shareholders other than Small Shareholders.